There’s plenty to love about holidaying on an island: easy to navigate; an abundance of coastline; and a feeling of complete escapism. 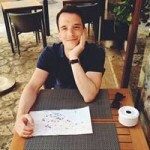 But on an island with as much diversity of setting as Mallorca, you’re really spoilt – as Marketing Assistant Lyndon discovered on a recent trip. Mallorca has it all: sandy beaches in the south east, the dramatic Tramuntana Mountains in the north west, and buzzy, historical Palma in the south west. We landed on the sun-kissed tarmac and headed straight for the mountains, favouring the long way round along the vertiginous coastal road. There are few beaches on this side of the island, but instead you’re treated to sucker-punch views and greener, jasmine-scented scenery. 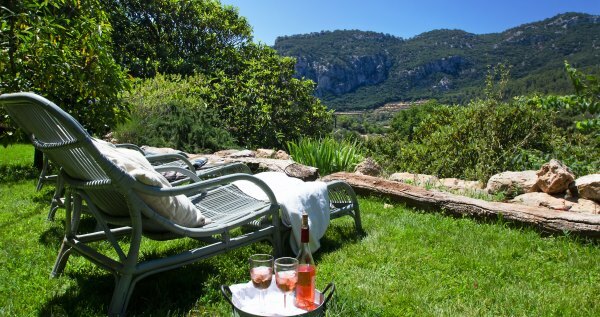 Amongst the tree-lined slopes, next to honey-stoned Valldemossa, sits Son Viscos, a brand-new addition to i-escape. With stunning terraces cleaved from the verdant valley, this 5-room B&B is a rural retreat with all of the charm and none of the chintz which that suggests. We stayed in the spacious ‘Menta’, a clean-lined white room pepped up with bright prints and rustic furniture. We loved its large terrace – the perfect reading spot after a drench under the in-room monsoon shower. Talking of water, Son Viscos’ gardens are built around it. Ancient channels of cool, glassy water drop down the terraces and through the ruins of two hidden mills. With lawns, bamboo forests and outdoor showers too, the gardens are a veritable warren waiting to be explored. However, we’re glad we didn’t lose the whole afternoon to wandering, as taking in the view from the main terrace with a cluster of other content guests was the perfect way to full-stop the day. seasonal feast) we had on the island, we pressed on along the coastal road, through Miramar, Deia and other villages perched high above the sparkling Med. 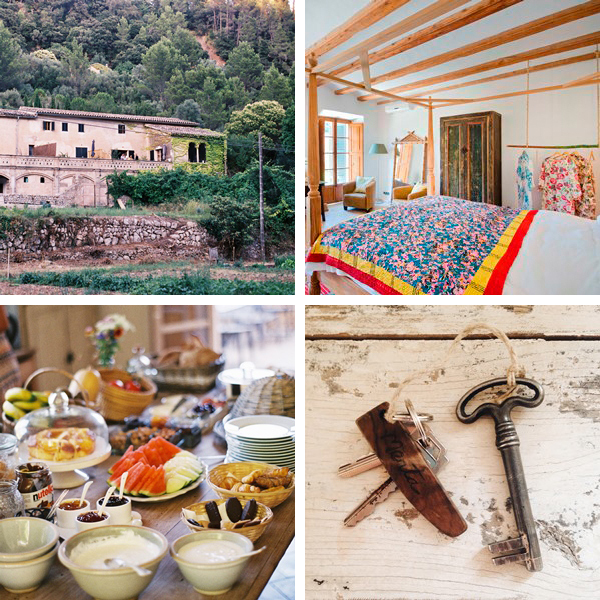 Our destination was Soller – the jewel in the crown of the Tramuntana range. 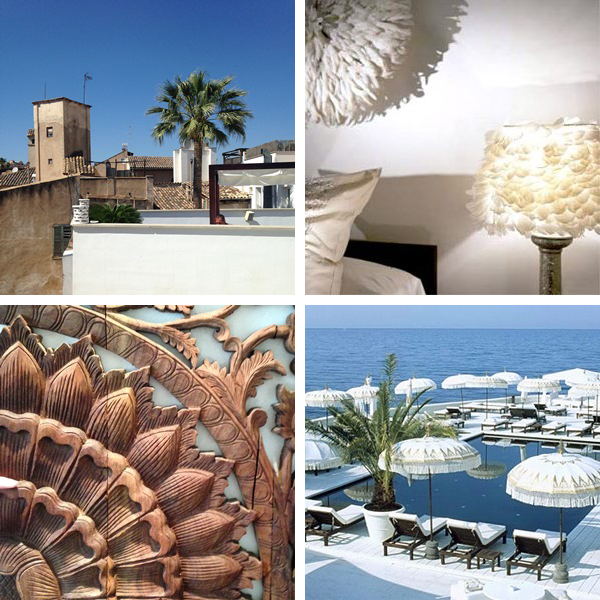 Following an unfavourable encounter between a bollard, our rental car and a one-way street (urban roads in Mallorca are testing), we walked through the glass-and-marble reception of town mansion L’Avenida to find a palm-fringed oasis. We decided to head poolside for sun-drenched cocktails to help us forget about our car-hire excess, but not before a quick look around our large, cool room (the huge Philippe Starck bathroom was a highlight). Come evening, when the sun had dropped behind the surrounding mountains, we ambled along to the main square. It was easy to find dinner among the cobbled, labyrinthine streets, lined with families and groups eating long into the warm evening. Then it was back to the hotel, where we sat on the balcony, drink in hand, watching the sky darken and the pool lights glow. 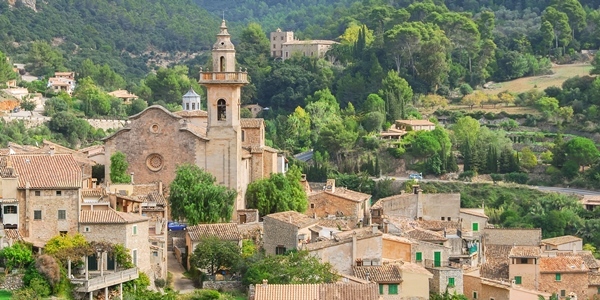 As with many of Mallorca’s coastal towns, Soller proper sits behind Puerto de Soller (historically, gold was stored in the higher, inland town to protect it from pirates and marauding hordes landing on the shores below). 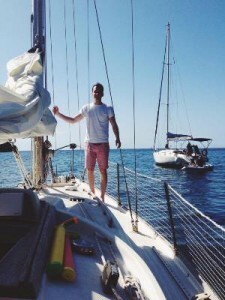 A quaint 10-minute tram ride had us down on the water (beside popular Esplendido Hotel), where we dragged our sea legs yachtward (L’Avenida can arrange charters) and headed up the coast for lunch next to Cala Tuent, one of the few sandy beaches in this part of Mallorca. It was well worth the hour-long salt-spray churn into a tiring headwind. 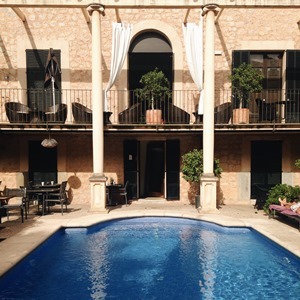 Sun-burnt and tired, we then circled back to Palma for a night at pampering Puro Hotel, hidden within the old town. I’d suggest tagging a stay here onto the beginning or end of a Mallorca visit; the airport is nearby and you’ll save on car hire while also getting to enjoy everything this fantastic city has to offer. Puro has grown up since our last visit (thanks to a new wing with a small spa and extra Jacuzzi), but it still retains the youthful and exuberant hedonism that makes it so popular. It does everything with a flourish, whether wine on the terrace, dinner in the superlative Asian-Med restaurant Opio, or a soak in the cavernous baths. It’s also perfect for guests who want to see and be seen, and those with a yearning for buzzy nights (it often hosts live DJs) and trips to its popular beach club (free shuttles can be booked in advance). After our delicious dinner (duck with coconut cream and blueberries, and sesame Thai salmon), we headed to the roof terrace. It was the perfect spot to reflect on our trip. 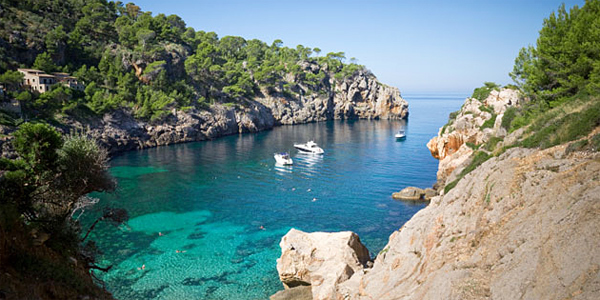 It was a whistle-stop tour, but an island as varied as Mallorca is supremely forgiving to those short on time.